They say that the best things in life are free and we here at UCreative agrees, and to show how much we love you guys here is a free vector set all yours for the taking. 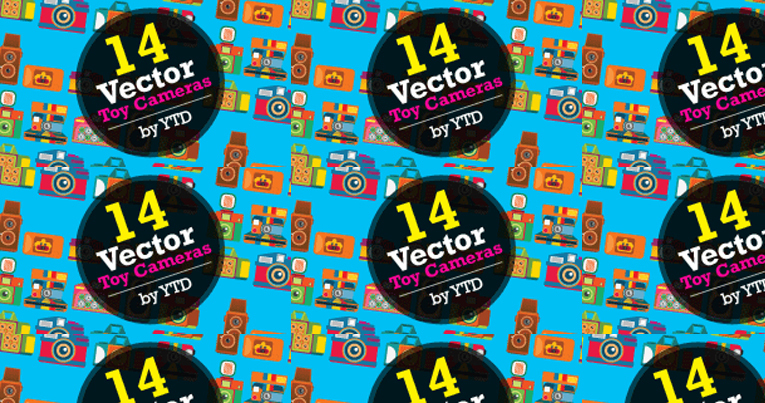 The set features 14 high quality vector art of toy cameras in different color, shapes and sizes. This set is perfect for those who are into the photography business whether professional or hobbyist. Use it for print or for web! The only thing that will limit you is your imagination. We’d love to see how you guys used the set!